WASHINGTON – To Kit Danley, the solution to the border crisis requires more than just politics: It requires that Americans “choose love instead of fear, and long to see Jesus in the faces of the most vulnerable” who show up at the border. Danley, president of Neighborhood Ministries in Phoenix, made the comments during a conference call criticizing a Trump administration plan to weaken protections for unaccompanied migrant children who show up at the border. 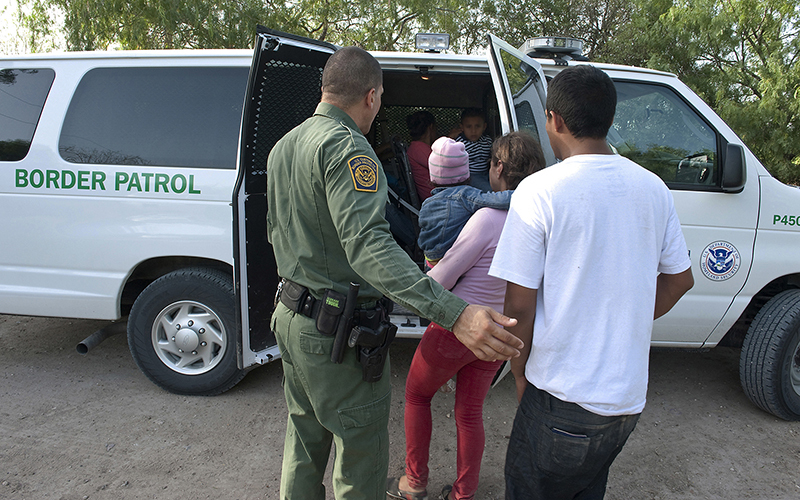 Under the 2008 Trafficking Victims Protection Reauthorization Act, children from Canada or Mexico can be sent back across the border once officials here determine they are not being trafficked. But children from non-contiguous countries – like the Central American nations driving the current surge at the border – get to stay while border officials determine their admissibility. But administration officials have called that a loophole that needs closing. Editors: Early versions of this story mischaracterized the role Neighborhood Ministries plays with unaccompanied minor children. It advocates for such children. The story has been corrected, but clients who used the original version are asked to run the correction here. Adam Estle, a Phoenix resident who works for the National Immigration Forum, has fostered a Guatemalan child who was protected by the TVPRA. Estle added that changing the law to send immigrants back to their country of origin will not stop them from returning, which could actually lead to a greater risk of trafficking.